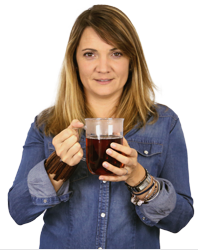 Celine, our tea expert, has made a selection of the best instant teas. These are a great way to optimise your preparation time and still enjoy a tea with plenty of flavour. Just mix a few teaspoons of the powder with hot water and you are done! 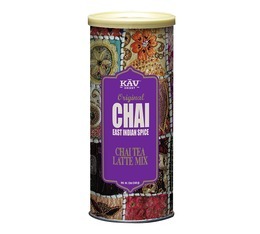 MaxiCoffee strives to find the ideal balance between the best tea and the best price. The famous "Darjeeling" tea from Dammann Frères is available as a jelly in a 235g pot. You'll get the grassy, fresh and delicately fruity notes from a Darjeeling in a teaspoon, perfect to compliment your savoury dishes ! This Ristora instant tea delivers a delicious, slightly sweetened mint green tea. Ideal for professionals equipped with vending machines. 1kg pack will make around 60 drinks. A slightly sweetened lemon instant tea by Ristora. Gluten-free. Perfect for professional equipped with vending machines. 1kg pack will make around 60 drinks. A slightly sweetened lemon instant tea by Ristora. Gluten-free. Perfect for professional equipped with vending machines. 6 x 1kg.